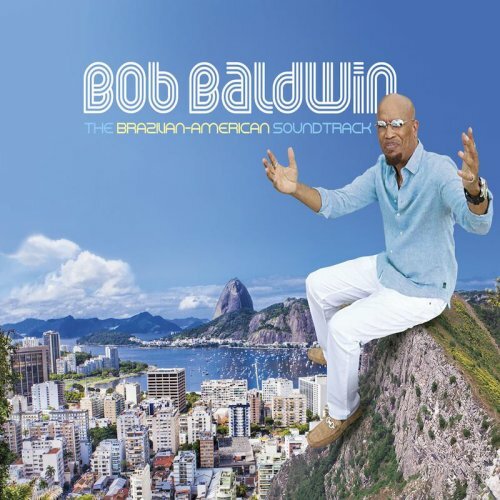 As recollections of Olympian accomplishments fade into our memories, the music of Rio via Grammy-nominated keyboardist Bob Baldwin’s (www.BobBaldwin.com) “The Brazilian-American Soundtrack” continues to thrive, casting a vibrant and soulful spell of urban-jazz bliss. 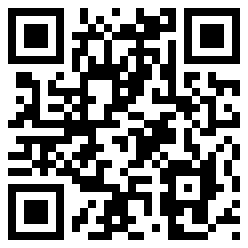 The critically-acclaimed, 26-song double CD is riding a wave of critical acclaim and multi-format radio spins. Multi-instrumentalist Baldwin meticulously produced and arranged the collection of twenty of his original songs along with a selection of seminal Brazilian jazz classics and R&B hits. Clocking in at more than two hours of sophisticated music, Baldwin’s lavish opus debuted as one of Billboard’s Top 20 Contemporary Jazz Albums and is capable of having the staying power to soar through 2017. The new disc reignites Baldwin’s affair with the seductive and sensual sounds of Brazil, which first served as his muse on his 2004 love letter, “Brazil Chill.” Three years in the making and recorded on two continents, “The Brazilian-American Soundtrack” is presented in two movements: Rio-Ipanema and New York. Baldwin employed an accomplished cast of Brazilian and Latin musicians – percussionists Café Da Silva, Rafael Pereira and Armando Marcal, and guitarist Torcuato Mariano – to construct the exotic rhythms on tunes such as the energizing first single, “Ipanema Fusion,” “Funky Rio,” “Teardrop” and “Oasis Of Love,” and when reimaging music from masters Antonio Carlos Jobim (“Corcovado”), Ivan Lins (“Anjo De Mim,” “The Island” and “Love Dance”) and Djavan (“Eu Te Devoro”). Baldwin uses first-call session players, vocalists and prominent soloists – Marion Meadows (sax), Gabriel Mark Hasselbach (trumpet) and Marlon McClain (guitar) to name a few – to craft soul-soaked, funk-flavored urban grooves including a pair of tunes (“Maurice” and “The Message”) that pay tribute to Maurice White, the influential creator and leader of Earth, Wind & Fire, who passed away as Baldwin was finishing the record. On “The Brazilian-American Soundtrack,” melody-rich explorations abound anchored by Baldwin’s agile keyboard, Rhodes and piano artistry. The date, which became Baldwin’s ninth album to hit the Billboard Top 20, also benefits from his soothing tenor voice, bass, drums, percussion, Moog bass, Melodica, strings and clave contributions. Beyond his 23-album recording career, Baldwin produces, hosts and nationally syndicates ”The NewUrbanJazz Lounge” radio show, leads a production and event planning company, designs and markets a line of men’s hats and has authored two informational books about the music industry. November 4, 2016, Shanachie Entertainment will release Webster’s anticipated label debut, Back To Your Heart. Randall Grass, Shanachie Entertainment General Manager states, “Lindsey Webster is an extraordinary vocalist who effortlessly melds R&B and jazz in a uniquely appealing ‘jazzy soul’ style that instantly connects with audiences and the world is already taking notice!” Influenced by everyone from Mariah Carey and Christina Aguilera to Steely Dan and Earth Wind and Fire, there is an honesty and authenticity that reverberates through Lindsey Webster’s enchanting, smoky, rich and soulful honey-toned pipes. The lead single on Back To Your Heart is the album’s title track. It’s an intoxicating and emotive number that sizzles and a song that Webster said wrote itself. “Keith was coming up with the idea for the chorus upstairs on his keyboard one day and I was downstairs cleaning,” she shares. “Once he got the chord progression going and played it a few times, the words ‘You gotta show me the way back to your heart’ popped into my head.” Back To Your Heart is a revealing and intimate portrait of Lindsey Webster’s life. There are songs like “On Our Way,” about Lindsey’s personal path and the principals of the Laws of Attraction and her heartfelt and moving tribute to her mother Barbara, who passed in 2014. “One At A Time,” was inspired by the Black Lives Matter movement and an inspirational speech that saxophonist Kirk Whalum (who guests on the song) gave at one of his concerts about the power of everyday Americans. Lindsey shares, “I realized that one person at a time is how we are going to come to some kind of peace. We have to love and respect and embrace our differences in order to get to the inner peace we need to create widespread peace.” Lindsey’s mission is to make an emotional connection with her fans. Somewhat of an old-soul, the young singer concludes, “With all the pop tunes out nowadays, literally about nothing, I think it’s important to hold the torch for the artists before us who found it important to write real music.” With the release of Back To Your Heart, Lindsey Webster is poised to find her way into your heart…and this is just the beginning!